Back when Wet n Wild released the Sequins & Stardust Collection I went crazy trying to track everything down. I was mostly excited about the MegaGlo Highlighting Bar in Gold. I believe I had to order them online because every store I visited was sold out. It was a very popular item. 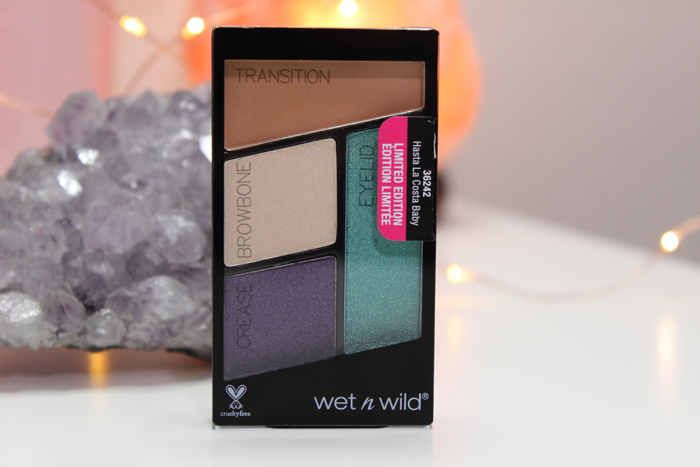 So you can probably imagine just how excited I was when I found out that Wet n Wild added 3 more shades! There’s a Highlighting Bar in Bronze, Platinum, and Rose Gold. You can also find the Gold shade in case you missed out the first time around. Luckily I didn’t have to go too crazy tracking these down. I only had to go to about 3-4 stores. I haven’t seen these online so you have to check your local Walgreens if you’re hoping to get one. And I’d try sooner than later because each display only holds 2 of each shade and they sell out fast! This is the MegaGlo Highlighting Bar in Platinum. I was mostly excited about the Rose Gold because I’m a sucker for anything rose gold. But after seeing and then swatching the Platinum that quickly changed. I just had to try Platinum first. 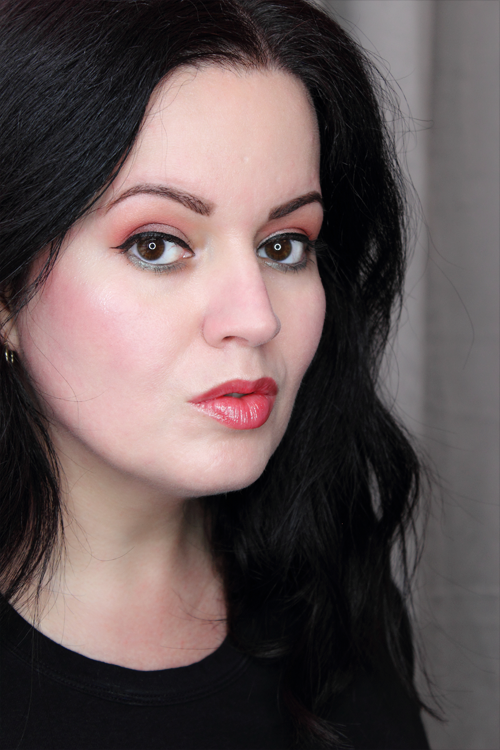 It’s nicely pigmented yet offers a more subtle glow. However, it can just as easily be built up. Just look at it on the inner corner of my eye! 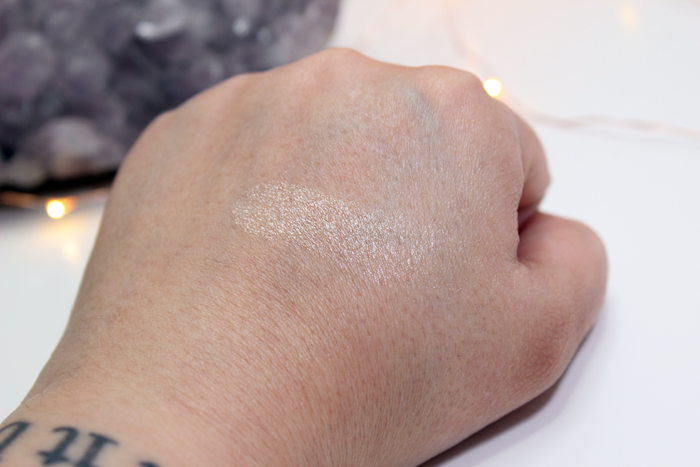 I really love the Platinum shade and feel like it’s a great every day highlighter. Whether you want a more natural looking glow or you’re looking for that blinding highlight. The bronze and golds are a bit more intimidating and I’m not sure how I’m going to use them yet. The Platinum was very easy to work with though. 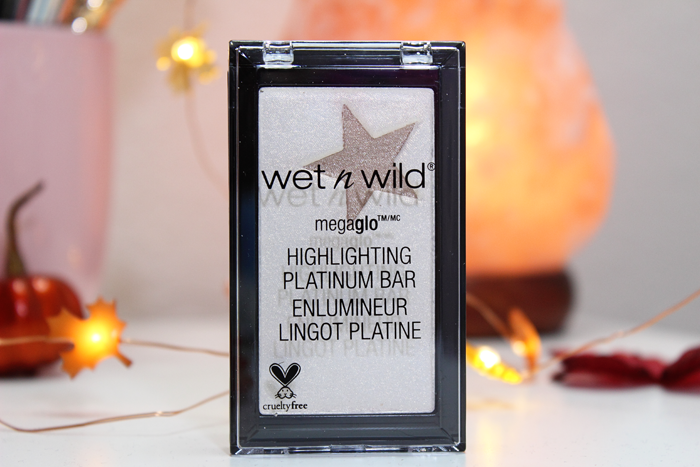 You can see the Wet n Wild MegaGlo Highlighting Bar in Platinum below. If you happen to spot the Platinum shade while out at your local Walgreens, get it! You won’t be sorry. 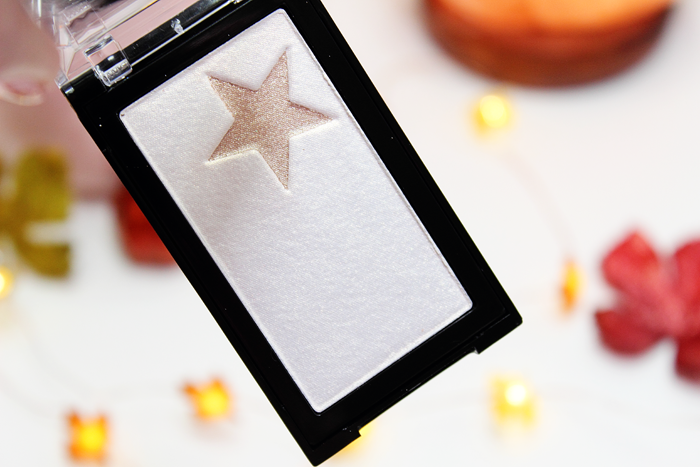 It’s a really great highlighter. There is even a mirror included under the bar. I didn’t photograph it because photographing mirrors never works out for me. That and it’s kind of a pain to pull out. But I can see it coming in handy for a quick touch-up or travel. Have you tried any of the MegaGlo Highlighting Bars? Which one is your favorite? After my last experience with Wet n Wild I was hesitant about purchasing the full Flights of Fancy Collection Box. Instead I spent what little free time I did have trying to track down a few of the products I wanted to try in person. I was only able to find two products. 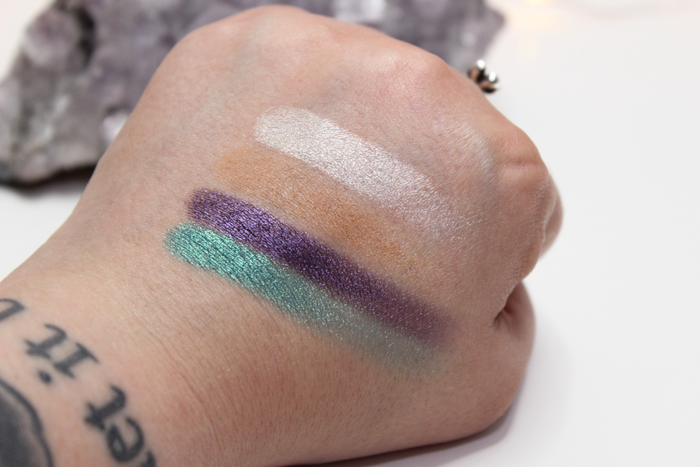 One of them is the Color Icon Eyeshadow Quad in Hasta La Costa Baby. I was hoping to get Flock Party as well, but I haven’t been able to find it yet. 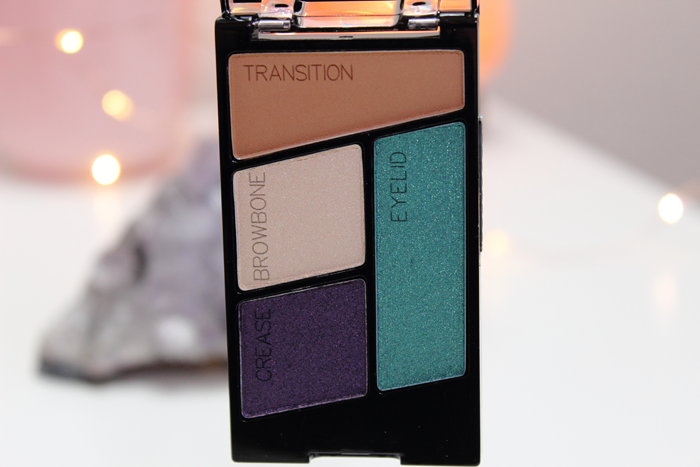 Hasta La Costa Baby contains 4 eyeshadows. The shades look really pretty and colorful and really called to me. They swatched beautifully! For the most part they applied just as nicely. 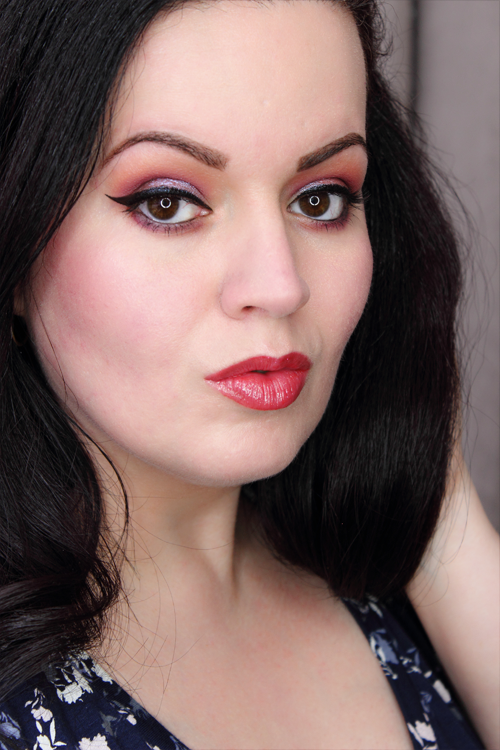 However, the crease and eyelid shades didn’t really pop. 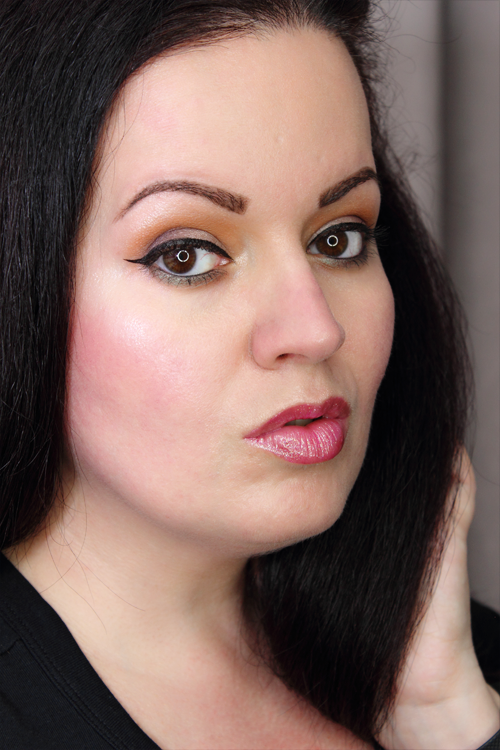 I ended up applying the eyelid shade on my lower lash line and the crease shade in my outer crease. I applied the eyelid shade with a dampened brush thinking it would pop more, but it didn’t. It just ended up looking dull. The crease shade too. I kept trying to pack it on hoping for it to pop even a little, but it just wasn’t happening. I applied the other 2 eyeshadows the way they were intended. Those worked out much better. In the end I was pleased with my look, but if I’m being honest I was hoping for a little more color. 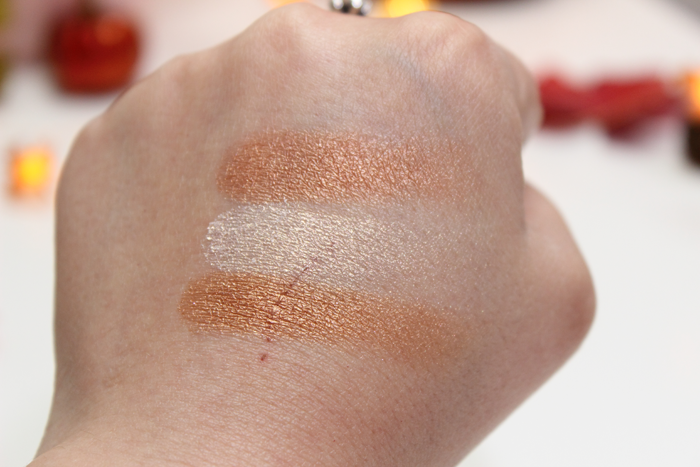 If only they had applied the way they swatched this quad would have been perfect! 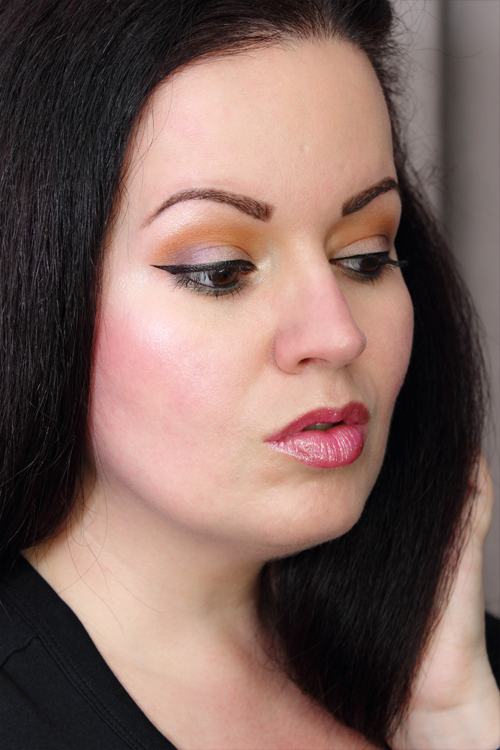 You can see a look I created with Hasta La Costa Baby below. 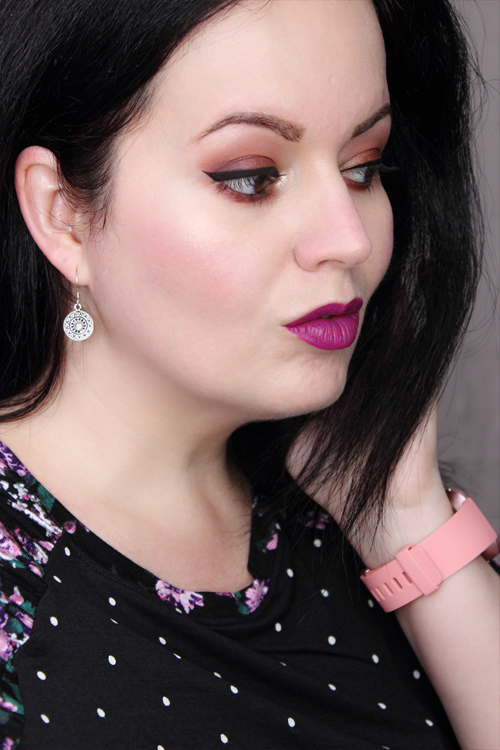 I applied the browbone shade on my eyelid and browbone, the transition shade in my crease, the crease shade in my outer crease, and the eyelid shade on my lower lash line. Overall, it’s an ok quad. I was still pleased with my look, but I really wish those 2 colorful shades popped more. But they did apply and blend beautifully. I was able to create a complete look using just this quad. And for just $2.99 you really can’t go wrong. Have you purchased anything from the Flights of Fancy Collection? Did anything from the collection catch your eye?